For over a decade, CFSD has had a pioneering educator, Charlotte Ackerman, creating a unique and fun LEGO Robotics curriculum that compliments science and math studies. Starting in the 2014-2015 school year, the program has been extended from Sunrise & Manzanita to all four elementary schools! Every class in grades 2-5 will participate in a 7-8 week program, once per week, during a rotation throughout the year. During their time in the robotics lab, the students in grades 2-4 work in teams, applying reading, math and science skills to the task of learning to program a robot to complete a series of exciting missions. 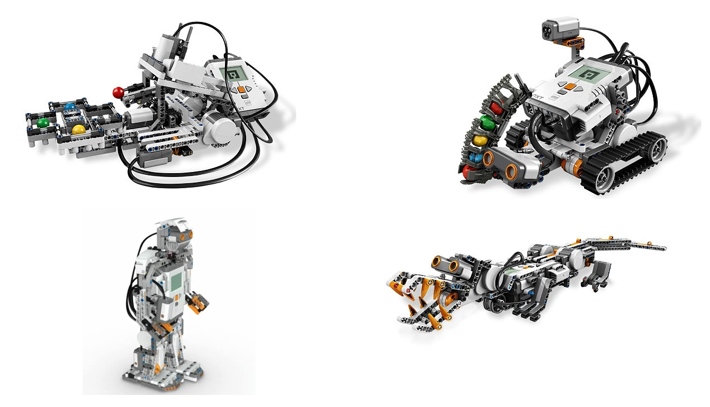 Students learn programming with LEGO MindStorms for NXT or EV3 (depending on grade). The fifth grade students meet in the LEGO Robotics during their Simple Machines unit in Science. They work in teams applying their reading, math and science skills to the task of learning to build motorized mechanisms to solve problems. Volunteers are essential to sustaining this fabulous program. You do not need to know anything about robots, or LEGO, or computers to be helpful! The kids often just need help reading, or encouragement to keep trying, or a high-five and adult sign-off on their mission sheet when they succeed! Contact Kirstin Girdner (or Tim) for more info, and signup to volunteer for a class the kids all love! Programming is a skill that can help your child grow their problem solving ability… and it can also be a lot of fun! Super Scratch Programming Adventure – a book that combines a graphic novel storyline with the Scratch graphical programming language from MIT to create a fun game in every chapter. Tim and his daughter enjoy the stories and building the games, proving that even 1st graders, with some adult help, can not just play games, but actually create them!